Info › How to? 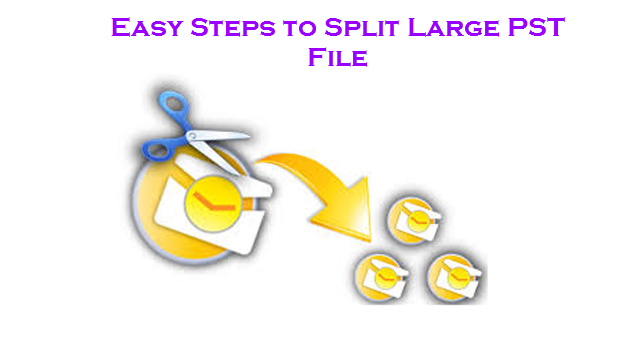 › How to Split Large PST file in Outlook? How to Split Large PST file in Outlook? But, now Outlook 2010, 2013 & 2016 editions support 50 GB PST file. Thus, most of us don’t pay much attention to the size of our PST files. But, we cannot overlook the factor that “Outlook profile becomes more vulnerable for corruptions as the Outlook data file size grows bigger”. Unexpected crash/freeze of Outlook application etc. Thus, in order to resolve all these problems, you have to split large sized Outlook PST file. But, how? No worries. Microsoft Outlook provided an inbuilt technique to split large PST files. So, just read these methods and learn how to split large PST files first. Then, implement the same on your oversized PST file to solve your Outlook issues. Note: In case, your Outlook is broken due to the oversized PST file and thus, your profile is not loading properly, crashing very often or you are unable to access it, then you have to repair your corrupt Outlook Profile file first and split it later. Else, you may face errors or issues during the split process. Pre-condition: Configure Outlook to archive items based on the Received date. Repeat the above procedure (with different dates) and create separate PST files. And, choose the Compact option, at last, to remove white spaces in your PST file. ‹ How Do I Track Outlook Email Messages?